Show Your SW Soundtrack Collection! Ahh I see! Yes mine is the new Cinevox release. I wasn’t aware of that Japanese version, that exclusive track scenario sounds interesting. Soren was correct, I thought that the new Cinevox release included the same music as in the Japanese edition. I actually found the exclusive alternate take here. Seems interesting, though I’m happy with my fancy 2006 version. 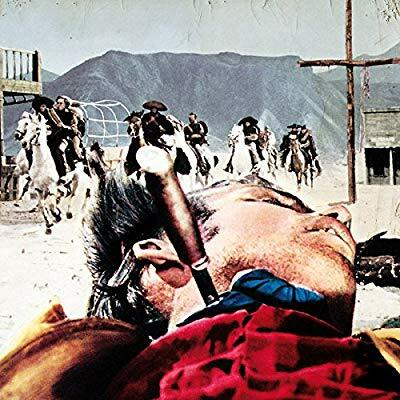 I should really rewatch The Forgotten Pistolero, I do remember the score being rather beautiful. I do remember the score being rather beautiful. It is, Dean. Check it out on ‘You-tube’. My eldest daughter bought me this for Christmas. 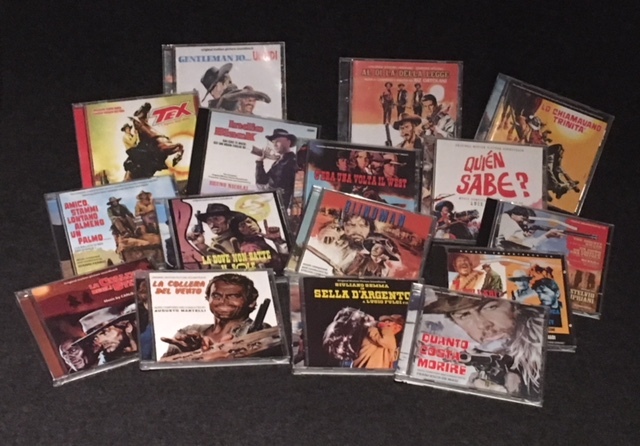 This is the rest of my collection of Spaghetti Western Soundtrack CDs. I had many more, but sold and traded most of them, since I rarely listen to CDs these days. Once in a while, however, I feel the urge to by a new one such as Il Dove non Batte il Sole, which I purchased about a month ago. Nice! Love those old CAM releases you have on the left! They really have a good sound to them. I’m jealous of that Blindman CD, and that you got the special jewel case version of Lo Chiamavano Trinita with the extra tracks. Super neat collection! Love those old CAM releases you have on the left! Yes, that’s why I kept them. 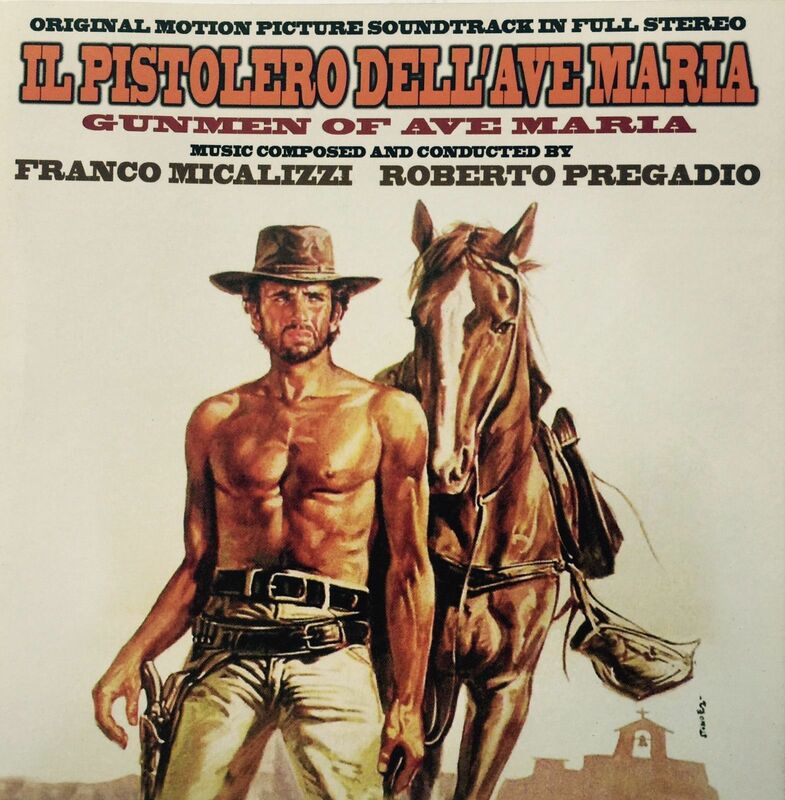 Those two were my first Italo Western soundtrack CDs. and that you got the special jewel case version of Lo Chiamavano Trinita with the extra tracks. Just realized that they skipped four tracks for the digipack re-release. Do you know the reasoning for doing this? I never came across the Micalizzi score on the left of the second line. I didn’t even know that it existed. Not sure. Maybe because Digitmovies wanted to make the jewel case version more of a collectors item by omitting them on the digipack version? It’s kind of a meh release for me. 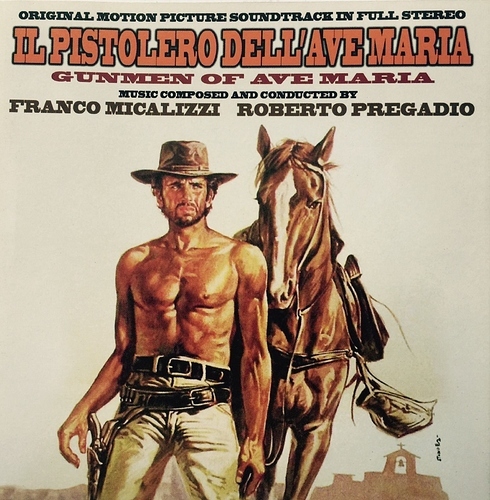 On one hand the music is pretty good, it’s almost comparable to Lo Chiamavo Trinita as it has Annibale singing the main theme and the I Cantori Moderni choir backing it up, plus with all the Micalizzi upbeat jazzy cowboy music you would expect from him. It’s also in stereo which is a bonus. On the other hand though the sound quality is not good at all. The left channel is clear and crisp, and sounds fine, but the right channel is really really muddled and quiet. Apparently Micalizzi had the master tapes in his home office and they were pretty damaged. Digitmovies did what they could to make it listenable. Here’s the main theme, sound quality is the same throughout the entire soundtrack. Thanks a lot, Nick. It’s just like you characterized it. After listening to the sample, however, my exitement for the soundtrack vanished.